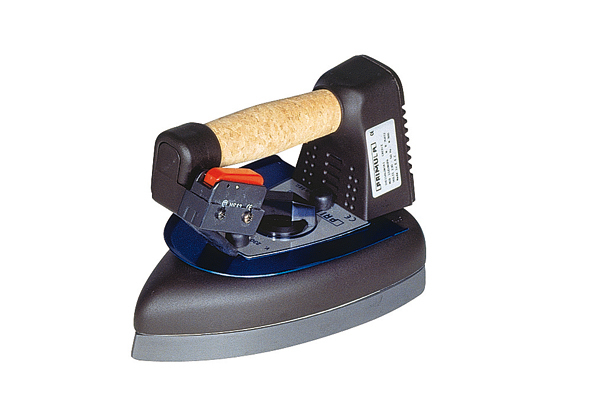 Electric steam iron with cork handle. With steam hose, 2.5 m cable and 4-pole plug. 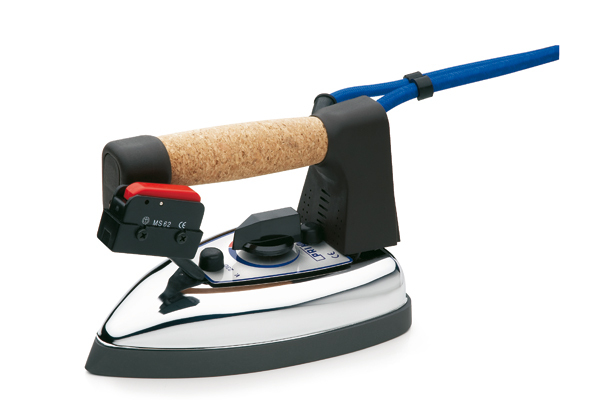 Electric steam iron with cork handle and steam protector. With steam hose, 2.5 m cable and 4-pole plug. 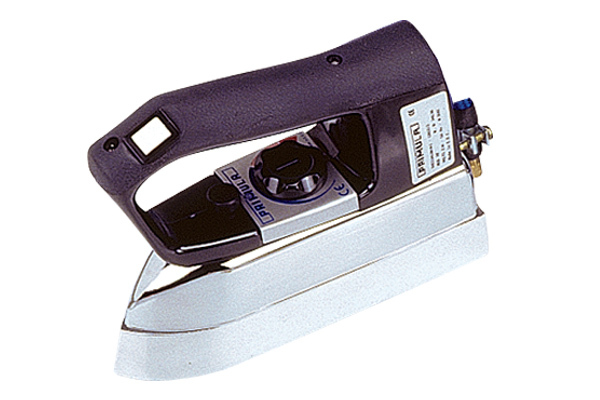 Electric steam iron for seam opening with bakelite handle. With steam hose, 2.5 m cable and 4-pole plug. Electric steam iron with bakelite handle and steam guard. With steam hose, 2.5 m cable and 4-pole plug. 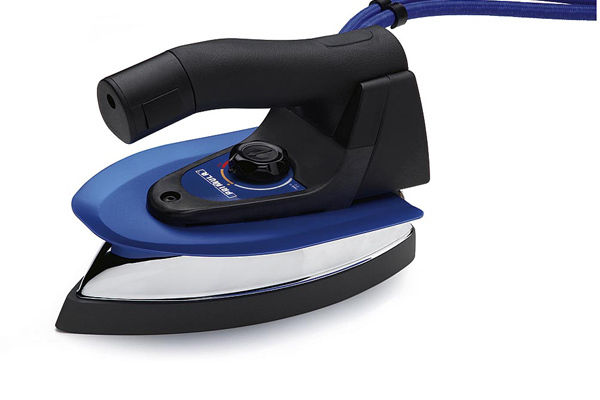 Electric steam iron with thermostat and specially designed bottom, ergonomic rayton handle and steam guard. With steam hose, 2.5 m cable and 4-pole plug.